Even though Suits has been slotted as a legal drama, the show’s dramatic aspects have often usurped its law cases. This has especially been the case with recent episodes, now that Suits is marching towards its final season. This thirteenth episode was yet another such episode where the law and cases were pretty much either non-existent or didn’t matter in the larger picture. The stakes were low enough for the cases to merely feel like mcguffins for developing some personal stories of the show’s characters. Louis has now fully assumed command of the firm and it’s a great journey, if you look at it from his dorky personality in Seasons 1 and 2. There’s a tremendous personal growth here and Rick Hoffman has very subtly evolved his performance to take out the childish aspects and slide in some mature behavior instead. The end-result gives us a Louis that, while still occassionally committing his naive mistakes, is quick enough to realize and apologize for them, as was seen when he blew off steam to take his work-pressure on an unwitting Robert Zane. Being in his position, Zane understands (possibly even resents) Louis Litt and gives him some perspective on how to handle the pressure, by at least not letting it out on employees. Wish more bosses would take a cue from this. If you were afraid, as I was, that the Katrina-Brian thing would be dismissed after a few episodes, you have at least some reason to cheer. It’s one of the focal points of the episode as the duo not only acknowledge the mutual feelings they’ve had for each other, but also figure out a solution to the problem after the haphazardly thought out ones don’t work. Katrina’s idea requires them to work only for a year as a partner-associate after which Brian can be under consideration for junior-partner himself. It only takes him that much closer to Mike Ross and his journey as being the next Mike Ross himself (he certainly has the looks, structure and acting chops). This also sets up a glimmer of an end to Brian’s arc which could actually end in his becoming junior-partner. I’m not sure if the showrunners will actually go the route of bumping off his wife in a road or flight accident and bring Katrina-Brian together; it’ll give some interesting guilty moments to Amanda Schuller’s Katrina even though the entire subplot runs the risk of feeling contrived. Harvey and Donna were at the forefront of things as always, especially when a fradulent and risky trade transaction they pulled off last year comes back to bite them. Stu Bazzini is being blackmailed over the trades he executed on the firm’s behest and Harvey needs to make it stop. The frustrating thing about this situation is that the writing has left Harvey with nothing more than the ability to pull some strings through his network of contacts. Rarely does he put any actual thought into solving problems and frequently blows his own trumpet, relying more on his reputation and bluff to resolve disputes. I suppose that’s somewhat understandable given his decade-long run in Pearson-Specter-Litt (or Zane-Specter-Litt-Wheeler-Williams as it’s known now) that he’d want to get things done by relying on the relationships he’s cultivated. But it just seems way too convenient for him to win a case and takes away any thrill that any threat thrown at him has at the beginning of the episode. 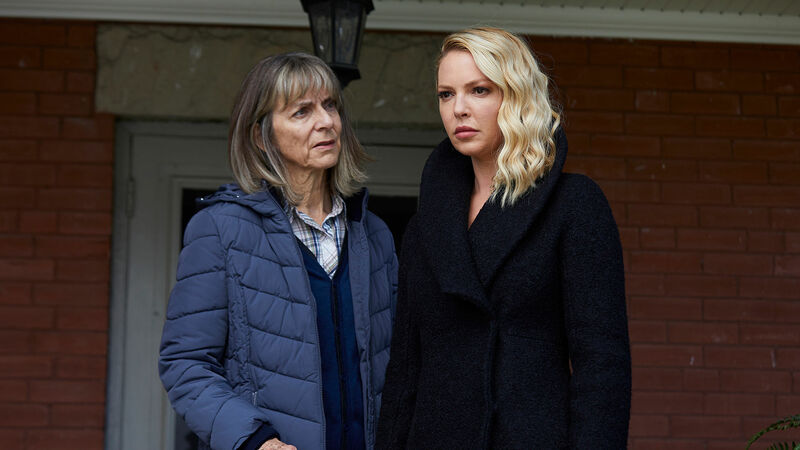 Samantha gets an incredibly personal case to handle, as she defends her foster mother from a blame she took upon herself to save one of her kids. In the process, Samantha uncovers the truth about being taken over by the state, and her mother’s betrayal when she didn’t fight for her. It all ends well of course (as does every episode of Suits by now) and they’re not only able to make amends but get the kid off the hook. It does lead to some personal growth but as a law subplot, it was quite tepid. Donna is beginning to settle in a nice place with Thomas, and I can only smell the disappointment she’s inevitably going to face that will leave her a wreck and give Harvey-Donna a shot at something. Donna finds herself incredibly drawn to the charmer that Thomas is and while something about him does come off as genuine, there’s the other, mysterious side lurking around, giving vibes that he’s hiding something that’s going to draw Donna away. Don’t get me wrong, I’d love for Donna to end up with Thomas but I suppose its a foregone conclusion by now that the showrunners are building towards getting her with Harvey and this is just a bump in the road. The final moments of The Greater Good present Harvey Specter in a manner that elevates this otherwise mundane episode into something more. We see him reach out to Donna, asking if she’s open for a drink; the call goes to voice mail. We then see him reach out to Mike Ross as well (who we also see in the episode recap, lending further credibility to fan’s wishes wanting Patrick J. Adams to return in a cameo in Suits). In both instances, we see a man at the top of his game, drinking in his lavish penthouse, yet all alone. He seeks company which he cannot have because he’s kept himself too guarded all these years, and even pushed people away. And now those people have moved on with lives, relationships and partners of their own and Harvey is left to celebrate his victory alone. He is thus a man who has everything and a man who has nothing. That saddened glimmer in Harvey Specter’s eyes can be read as someone who’s beginning to realize that he’ll end up dying alone if things continue this way. Or at least, that’s how I’d like to look at it. Maybe I’m taking things a bit too far but if Suits is really delving into personal matters, I’d love for Aaron Korsh and other writers to take a stab at this far of Harvey’s, perhaps even developing it into the motivating factor that makes him realize he does need someone in his life by his side. Someone like Donna. Now that would make the perfect ending. Until then, we’ll just have to settle for an episode a week as Suits lays out its cards gradually.